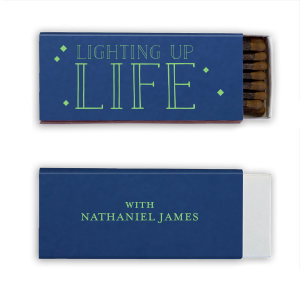 Light the celebratory cigars with your personalized retirement party cigar matches! 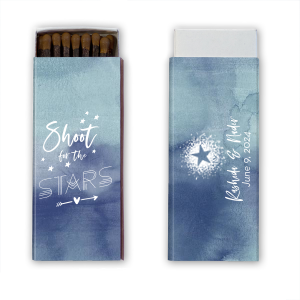 Your party guests will appreciate the high quality, sulfur-free smoke you offer with your custom retirement party cigar matchboxes! Light those well-earned cigars with personalized retirement cigar matches from For Your Party! Give your retirement celebration a personalized touch with your high quality, sulfur-free custom designed retirement party cigar matchboxes. Your guests will love taking home such a lovely and useful memento, and they’ll reach for your custom designed retirement cigar matchboxes over and over in the days to come. Choose a design from our curated galleries, or upload your own design for a completely one-of-a-kind look for your custom retirement cigar matchboxes. With over 100 paper colors and 50 foil stamping options, finding a color combination for your personalized retirement party cigar matchboxes is easy! 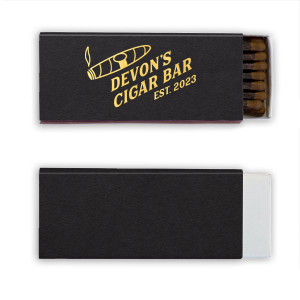 Design your perfect custom retirement party cigar matchboxes today!